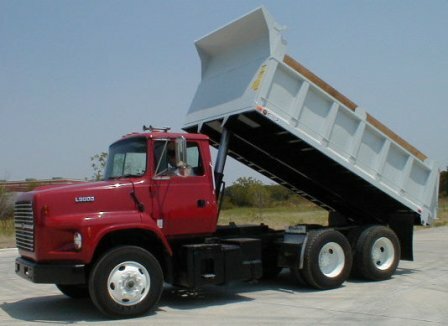 Dump trucks can be used to transport loose materials such as biomass which could not be supported on an open-bed truck to a biofuel production site. 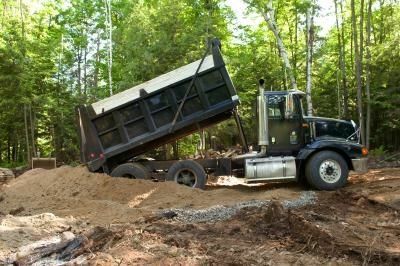 The supplier may use front end loaders or an overhead hopper to fill the dump trucks to capacity, then some form of protective cover may be used to keep debris from falling out during transport. The onboard scale (avg. 99% accuracy) allows you to weigh material being moved from one site to the next, allowing the operator to avoid weigh-in stations. 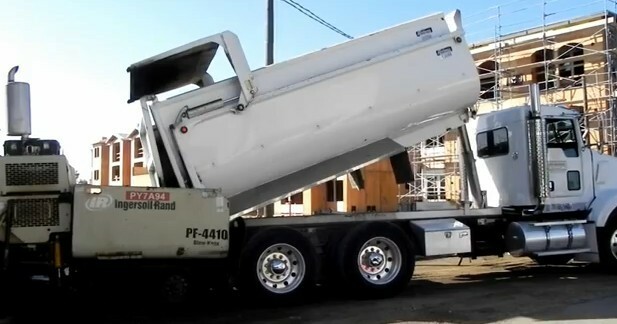 Once the dump trucks reach their destination, the back gate is released and a hydraulic lift raises the front of the bed. 1. "Dump Truck." RitchieWiki RSS. N.p., n.d. Web. 21 Dec. 2012. .